I can grow grateful, too. Let me show you how. My class goes on lots of field trips. Ms. Cooper has taken us to the art museum, the state capitol, and even to a bakery, but never camping. Kiko goes on a camping trip with her class and learns about gratitude Throughout the trip, Kiko discovers different things she appreciates about her family, friends, and opportunities. This story is based on the "theory of mind," which is the ability to take the perspective of others and recognize that each person has their own thoughts, feelings, and perspectives. Growing gratitude leads to greater happiness and stronger interpersonal relationships. 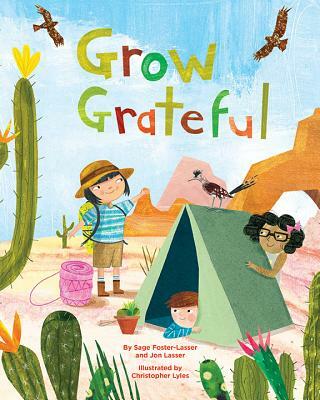 Also included is a Reader's Note that provides contextual advice, healthy-mind tips, and more ways for growing gratitude in kids.